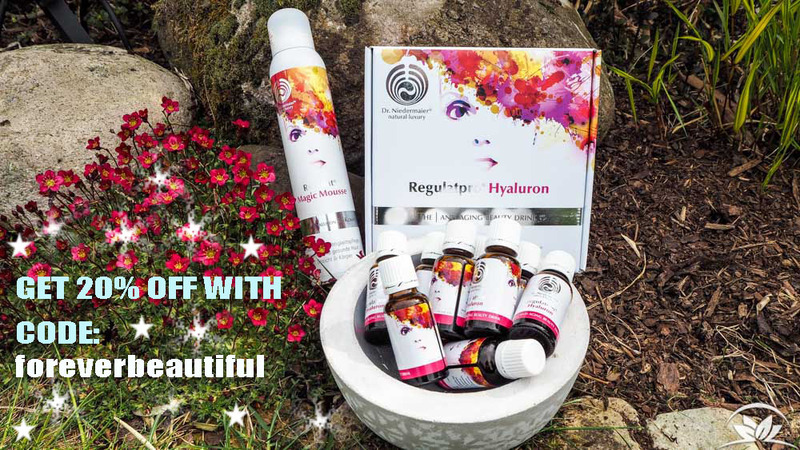 Dr. Niedermaier provided us with the Regulatpro Hyaluron beauty drink – which is supposed to fight wrinkles from the inside – and the Regulat Magic Mousse to moisture the whole body. We were sceptic but tested both products for you. 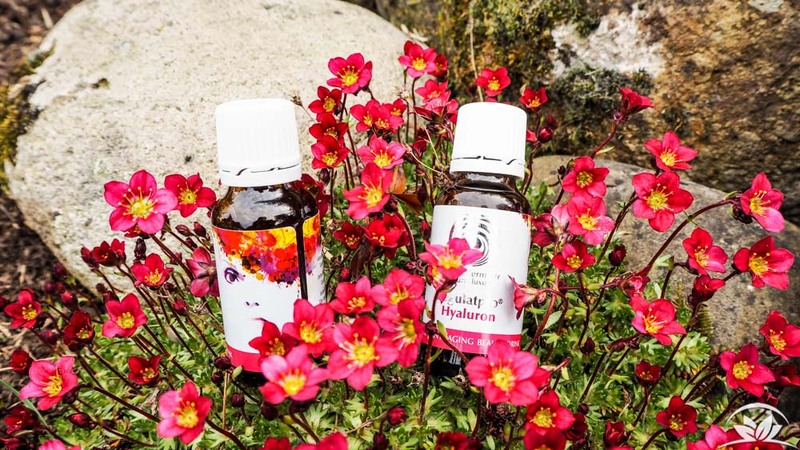 What exactly is Regulatpro Hyaluron? The Regulat Essence by Dr. Niedermaier originates from a patented cascade fermentation. It’s a fermentation in several steps that splits all ingredients into easily resorbable highly concentrated components. By this cascade fermentation all ingredients lose their allergen potential. 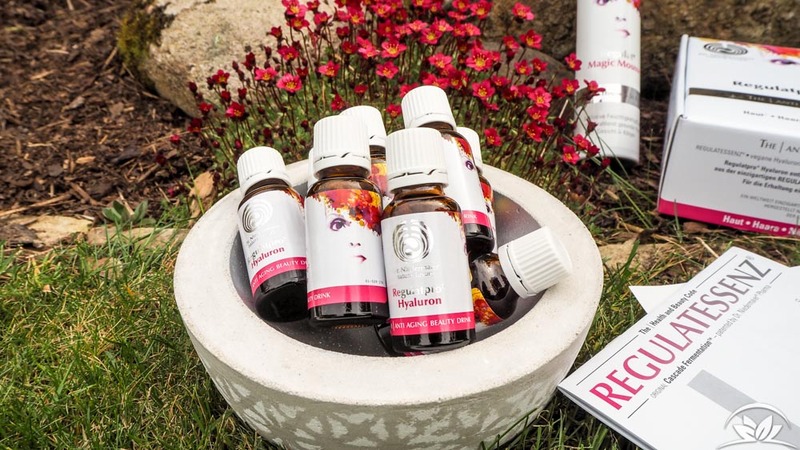 All ingredients are plant based – hence, the Regulatpro Hyaluron is vegan. They ferment organic fresh fruit, nuts and vegetables for the Regulat Essence and the essence has no side effects. The Regulatpro with its carrier effect increases the effect of the hyaluronic acid in it. 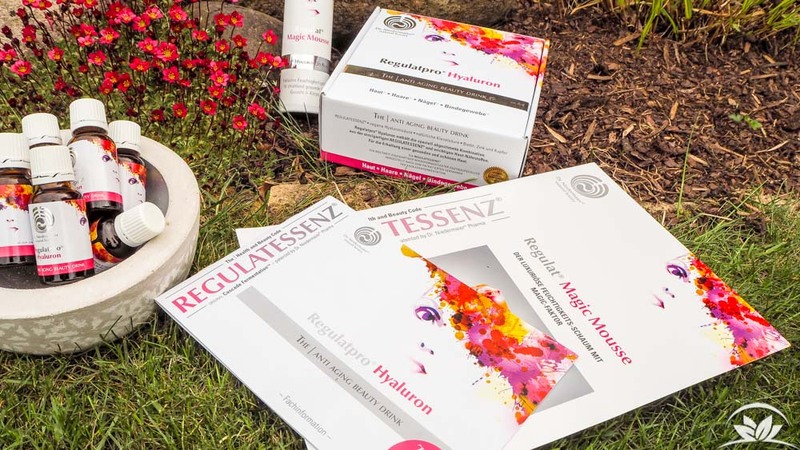 Studies show that the resorbtion of the hyaluronic acid in the Regulatessenz is 300% better compared to current products. Dr. Niedermaier recommends to drink it for at least 2 months but first effects are recognizable after 10 to 20 days. One package contains 20 bottles and costs circa 70 Euros. How and since when do I drink Regulatpro Hyaluron? I’ve been drinking one of the small bottles on an empty stomach every morning since March 20th. I drink it slowly, keep it for some time in the mouth before I swallow, because the ingredients can also be taken up by the oral mucosa. A glass of water follows. It tastes a bit sour and is sometimes hard on an empty stomach, but you get used to it. It is actually just a small gulp. Quite a lot, therefore I was really sceptic. The hyaluronic acid hits right at the wrinkles and reduces them visibly plus it improves skin quality on the whole body. Hair and finger nails are supposed to grow stronger. Wow! It is also good for your immune system, it’s anti-inflammatory, energizing, skin-calming, antioxidant and enzyme-activating. I take every little bit of this! I waited longer than the 10 days mentioned before… I wanted to be sure before I write an article about the effects of Regulatpro Hyaluron. 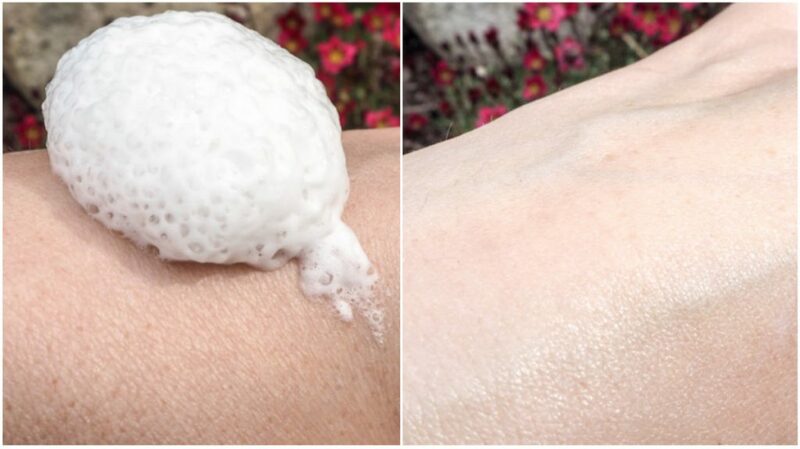 What significantly strikes after just one month: My skin is not dry anymore! Before, I actually used raw shea butter to get moisture in it and it didn’t help but now I don’t even need to moisture anymore (though I still do…). My skin is soft and looks great. And it did not only effect the skin in my face! The skin on my whole body looks better, especially my legs! 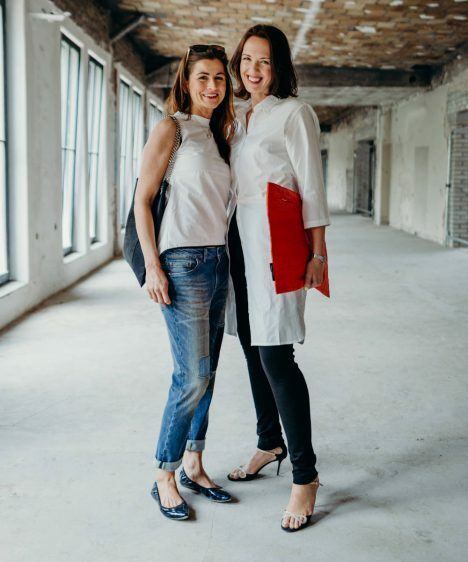 Besides the dry skin I constantly had red spots in my face, a reaction to what I thought every possible cream or food I consumed… I tried everything: New facial care, left out various food, I even stopped drinking red wine (yes, I know… I was desperate! ), but nevertheless there was still redness in my face. It became so much better since taking Regulatpro Hyaluron! (It was definitely not the red wine! Thank God!) And my hair feels and looks fuller and stronger. As I mentioned before I am a sceptic. 70 Euros for 20 daily doses of Regulatpro Hyaluron and 50 Euros for the magic mousse, that’s a rather high price… For me it’s worth every cent! My skin has improved so much! Less wrinkles around the eyes, deeper wrinkles became less visible. It looks so much better and is not that sensitive anymore. The question of all questions: Will I buy it? Hmmm… yes! Though I am not sure if I will do a treatment for 2 months again before the next heating period when skin gets dryer or just keep on using it every second or third day. I will definitely keep on using the Regulat Mousse for my body. 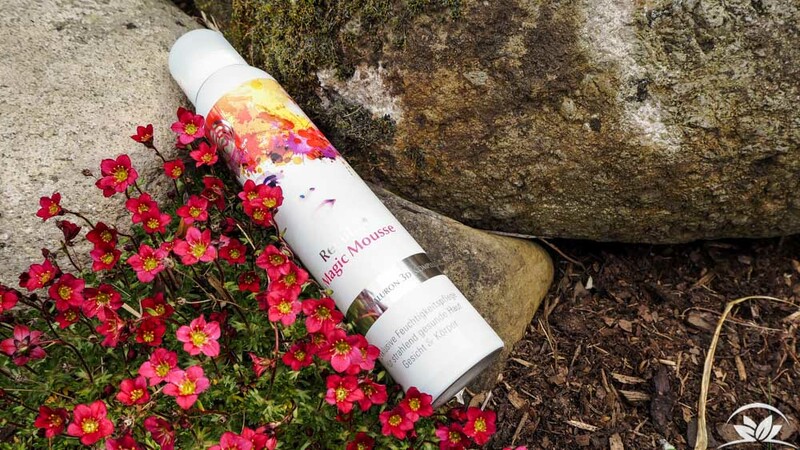 Plus I will have a look at the other products by Dr. Niedermaier – they all sound very interesting to me. Yoiu can buy Regulat eg here: BioNaturel, Amazon , Vitafy , Najoba or directly at Regulat Beauty. 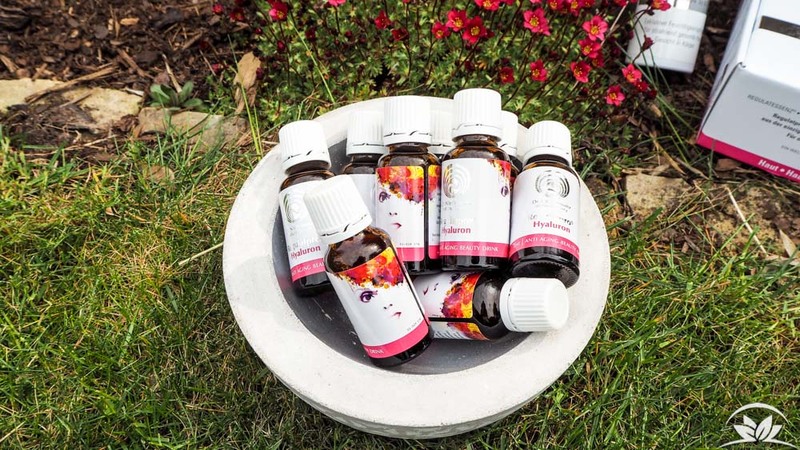 Dieser Eintrag wurde gepostet in der Kategorie Vegane Kosmetik & Pflege, Vitamine, Mineralien & Gesundheit. Bookmarke den Permalink.